Hello my name is Maxine I would like to introduce myself as the Laser Hair Restoration partner of Invisi Hair Clinics. Laser hair regrowth comprises part of my skin clinic which deals with all kinds of laser treatments and hair loss Wolverhampton. We pride ourselves on having expert knowledge and providing a good service for all types of hair laser and skin treatments such as tattoo removal; hair growth therapy and skin rejuvenation treatments. 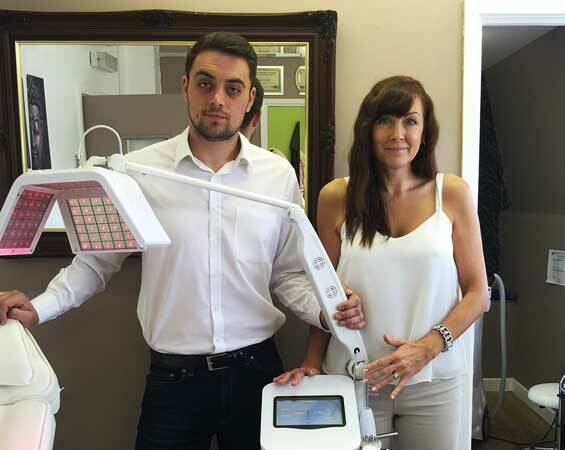 Working alongside Invisi Hair with their fantastic range of topical treatments and LLLT hair restoration lasers has enhanced our clinics capabilities. The laser knowledge we have coupled with the expert hair re-growth experience and skills of the Invisi Hair Clinic, and the use of the advanced Pulse Low Level Laser machine puts us in a fantastic position to exceed our clients expectations.